Extreme cold temperatures drop well below what is considered normal for an area during the winter months and often accompany winter storm events. 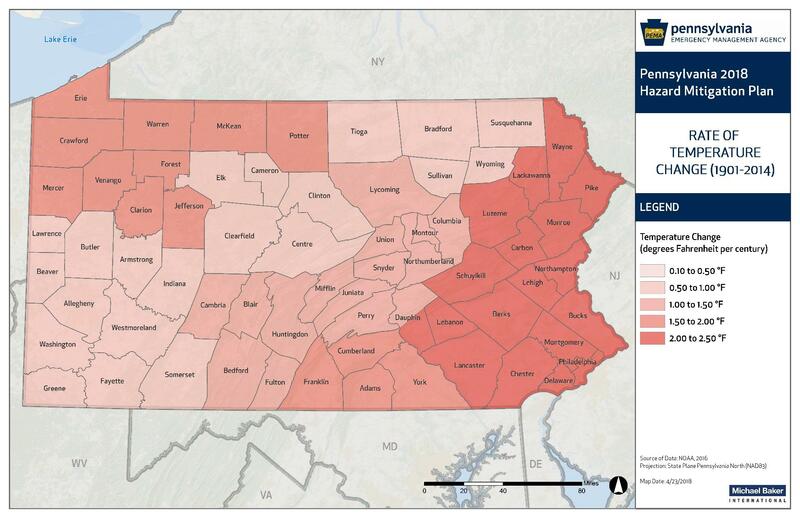 Combined with increases in wind speed, such temperatures in Pennsylvania can be life threatening to those exposed for extended periods of time. Extreme heat can be described as temperatures that hover 10°F or more above the average high temperature for a region during the summer months. 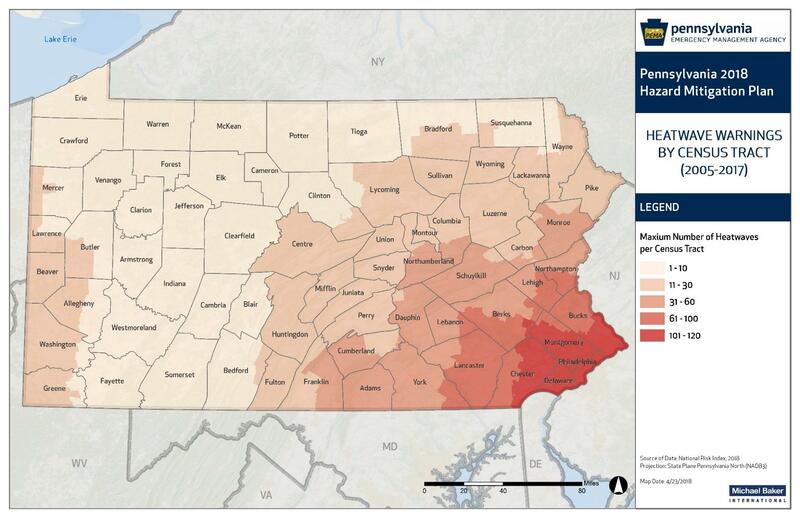 Extreme heat is responsible for more deaths in Pennsylvania than all other natural disasters combined. According to the National Climatic Data Center there have been 85 extreme temperature episodes in Pennsylvania between 2000 and 2017. 50 of these events have been a result of extreme cold/wind chill, resulting in 4 deaths, and 35 have been extreme heat episodes, resulting in 90 deaths and 103 injuries. With changing climate and annual average temperatures increasing, extreme temperatures are projected to increase more than average and the number of days above 90°F will rise while heat waves will intensify.